After nearly 50 entries, a name was selected this evening by my daughter, 8 year old Kate Lindsay–with a little help from younger sister, Kelly. The lucky winner is…drum roll please…APRIL F. of Indiana. Thanks to all of you for submitting your heartfelt apraxia journeys. They literally brought tears to my eyes and warmed my heart. Y’all are truly the best! Our sincere thanks to Melissa of Handmade Love Stories for making this give-a-way possible. Thanks for being part of our apraxia journey. Being a big crafter myself, I am thrilled to welcome Melissa of Handmade Love Stories to Apraxia Monday. 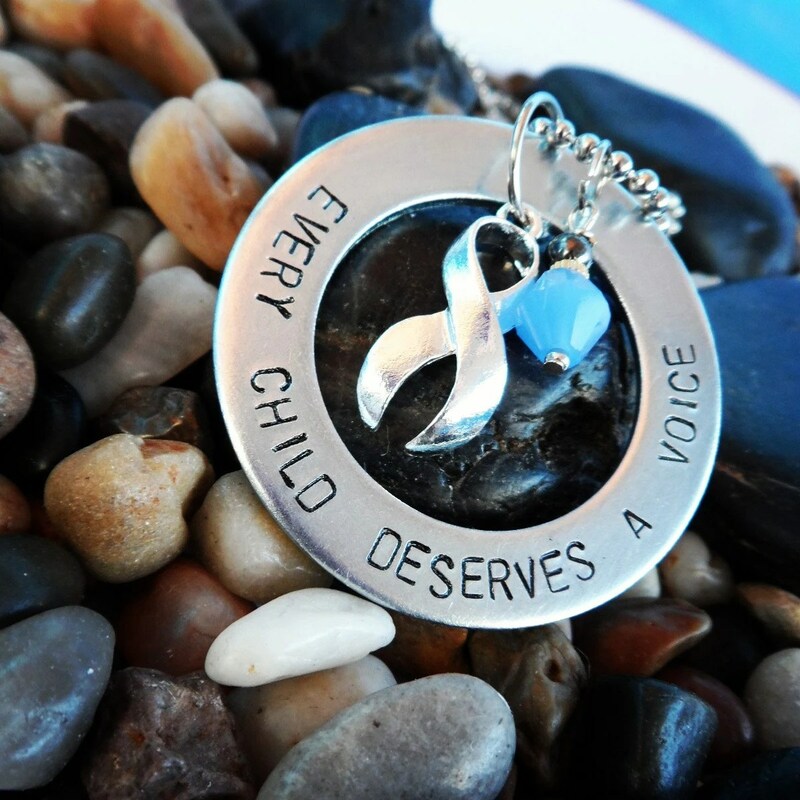 Melissa is a mother and artisan who has created beautiful apraxia jewelry and accessories as a way to advocate and support our small talkers. They’re great for you, a friend, your child’s SLP, even grandma. It’s a fun—and attractive way to support and advocate for your small talker. And…drum roll, please…Melissa has graciously offered a complimentary customized piece of jewelry for a lucky reader. Scroll to bottom to learn more. But, let’s start by getting to know her first. 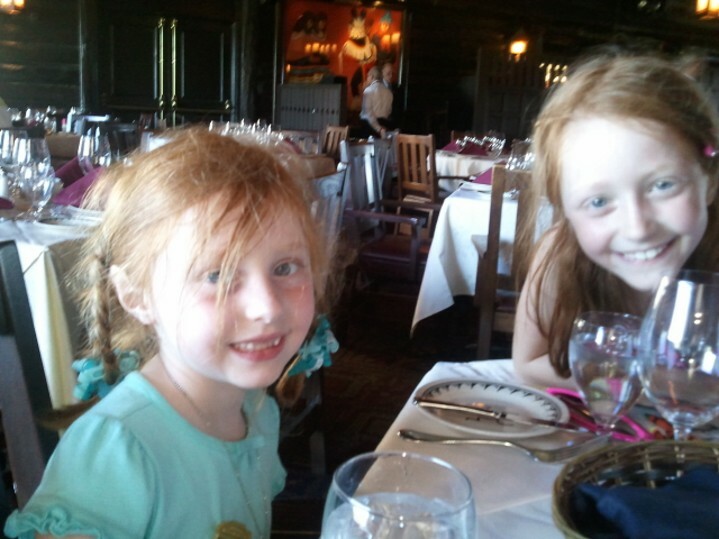 Speaking of Apraxia: Melissa, can you tell us a bit about your personal life? Where do you spend most of your time. Is jewelry making a profession of yours or more of a hobby? If a hobby, can you tell us more about what you do for a living? Do you have a family? 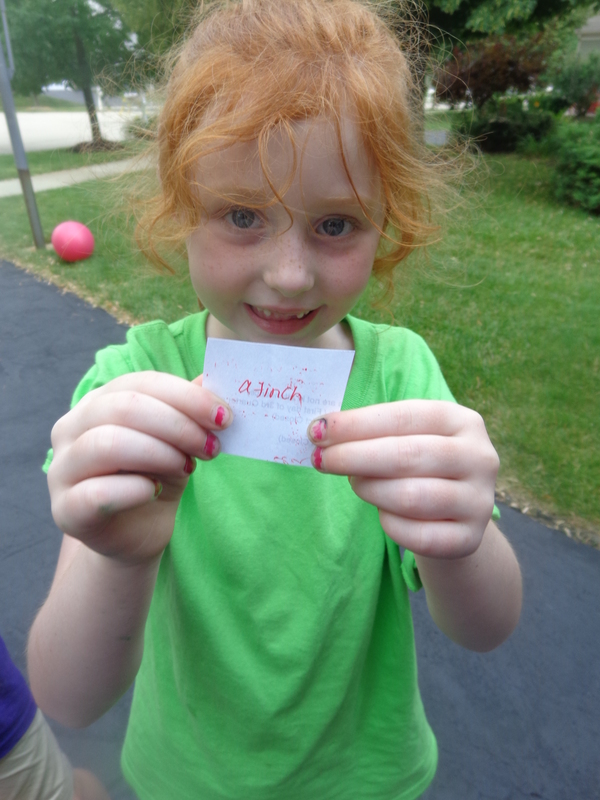 Speaking of Apraxia: Will you share a bit about how you got into jewelry-making in general? Has this been a lifelong passion of yours? Speaking of Apraxia: I get the sense that you really take to heart the stories and messages you put into your pieces. Can you tell us a little about your creative process? 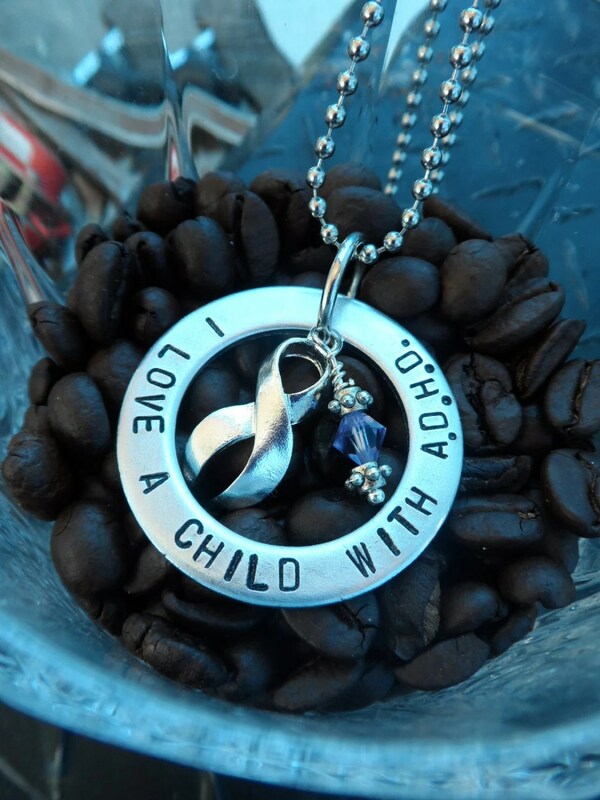 Speaking of Apraxia: I see on your ETSY site that you jewelry for other disorders like AD/HD. How did you get invested in special needs? Melissa: This all hits very close to home. My brother was diagnosed with ADD as a child and his whole journey through school was a struggle. It was always so hard for him, and it’s difficult to watch anyone you love struggle. My oldest son has ADHD, and is the most amazing blessing that I could have asked for. I have an amazing cousin in California who is a special needs teacher and an inspiration to everyone who meets her. More than anything, I want to help give a voice for the children that can’t speak up for themselves and awareness for the parents that were blessed to be their children’s heroes. 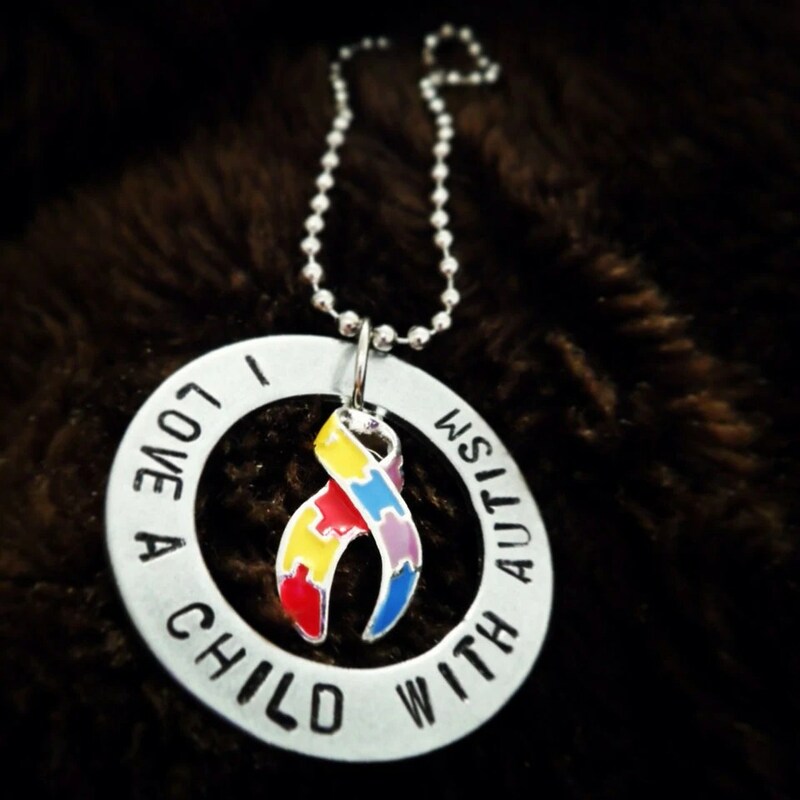 Speaking of Apraxia: Can you tell us how to get a hold of you if we’d like to request a custom piece of jewelry? I also take custom orders so please let me know if there is anything specific you have in mind that I can make for you.! Speaking of Apraxia: Thank you, thank you, thank you to Melissa for joining us!! Wonderfully touching. Thank you for taking our stories to heart. Here’s what you have to do: make a comment on this blog about *your* handmade love story…winners will be drawn at random on July 15th by 5pm CST. Check your email/junk mail to learn if you are a winner. 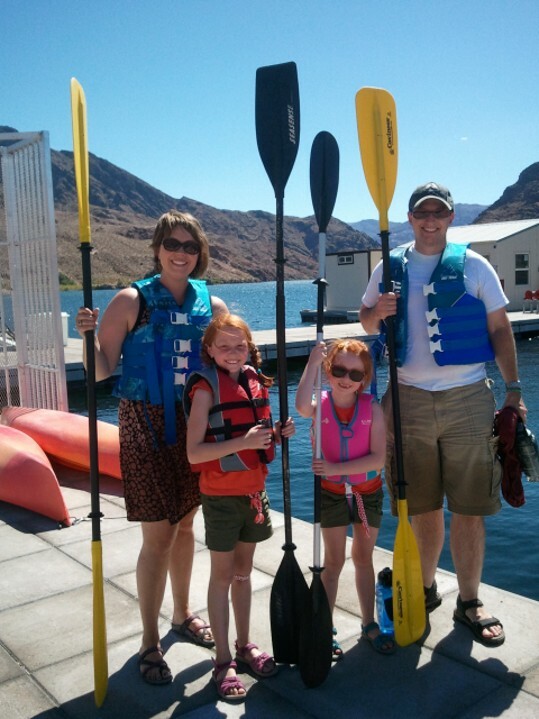 Apraxia Monday: Does Apraxia Take a Vacation? With summer in full swing, you may be wondering if it’s time to take a vaction from apraxia and speech therapy. It’s an appropriate question, and one that has a very solid answer–no. Well, yes. And here’s why: Kids with CAS need consistent (read: regular), intense and frequent speech-language therapy to effectively move beyond their speech difficulties. When your whole world turns upside down due to new family schedules over the summer, you can always rely on your SLP to keep some consistency. “But, we’re so busy!” you whine (and maybe your child does, too). If that’s the case, cut back on your summer therapy sessions, but still try to aim for 3-4 a month. If that gets to be too much, take apraxia on vacation with you. 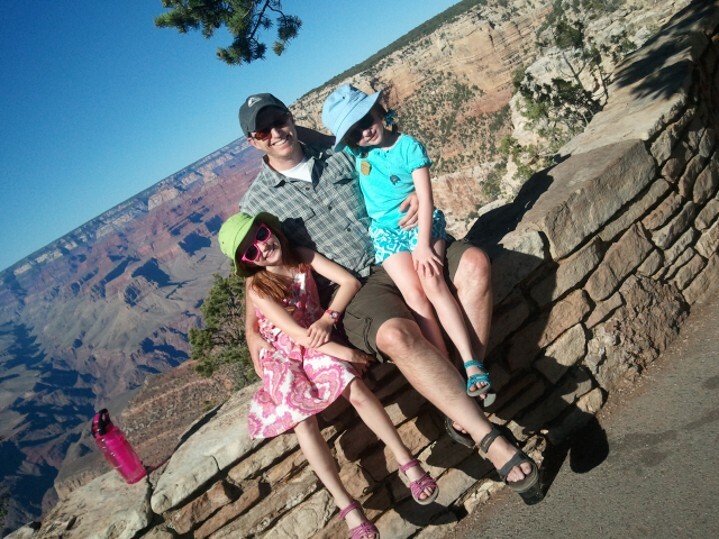 Just this past week, our family traveled to the west…we’re talking Grand Canyon, Hoover Dam, Red Rock Canyon, Las Vegas…but the words and the practice didn’t stop, even for 8year old Kate who is considered “resolving” with her apraxia. Here are some ideas for you to consider when you take apraxia on the road. Ask your child to say new words while you are away. We were in the Mojave Desert during our trip…so I asked the girls over and over, “What’s the name of our desert?” They couldn’t remember it the first few times, but I kept hounding them. Finally, they could say it. Keep a travel journal. If your child is interested, you can have then collect brochures, ticket stubs, postcards, and other non-expensive items to identify and remember the trip. When you get home, paste ’em a journal or notebook. Use the car as a practice lab. Okay, I know there’s a time and place for this…but the car is a wonderful location to work on words/sounds/phrases your child is striuggling with. We often would ask questions on our road trips. “What sound does a pig say (oink, oink)?” You ask the questions, your child responds. “Where are we?” (papa and nana’s house, the desert, wherever). “What do we say when we go to bed?” (night-night). The key here, is to keep your child talking–and thinking. Don’t over do it, though. Keep this “game” up as long as you think your child(ren) will tolerate it. Most of all–have fun with speech–and your vaction! !